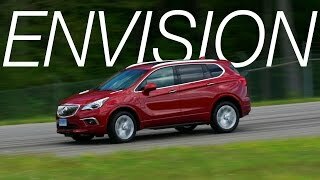 At the 2016 Detroit Auto Show, Buick shared its all new Buick Envision 2016. The model gained rounds of applause and accolades for its elegant styling. Be it the interior of the exterior, the looks has everything to compete with luxurious models like Lincoln MKC and Audi Q5. 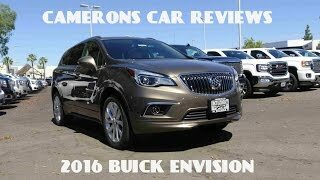 Let us have a closer look at the review of Buick Envision 2016 to know in detail about it. The interior of Buick Envision 2016 isn’t just about better looks but also features greater comfort. The dashboard and doors are painted in same and thus the amalgamation of two is almost unnoticed. Over the dash you have a leather wrapped multi function mounted steering wheel hiding behind it the instrument cluster. The latter feature a digital speedometer amidst the analog gauges. Taking a look towards the center we have the eight-inch IntelliLink screen featuring Bluetooth connectivity and MP3 connectivity. However the integration also brings in options like OnStar and built-in 4G LTE hotspot. Talking further about technology we have four USB ports and 12-volt outlet accompanied by a 120 volt outlet. Doors come with storage compartments sufficient enough to keep your tiny stuffs. The seats and the steering wheel come with heating function while the legroom makes the interior of Buick Envision 2016 more comfortable. The exterior of Buick Envision 2016 as I said earlier is elegant. Starting with the front we have the traditional grille carrying the massive company’s emblem in center. At both the sides we have new headlight assemblies with daytime running lights while the lower section we have aligned fog lamps. Noticing the body lines moving along the side, the rear end keeps the same essence as front and gets further complemented by the body lines. The wraparound taillights and the LED high-mount brake light will reflect the glory while the single exhaust outlet on each side adds to sportive looks. 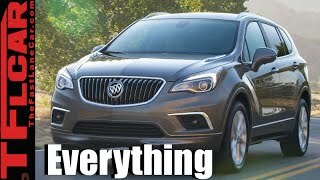 Thus rounding up the exterior details of Buick Envision 2016 I would say, it is elegant with design yet aggressive with its integrations. 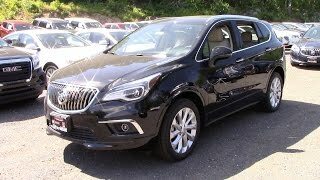 Beneath the hood of Buick Envision 2016 is a 2.0 liter DOHC four-cylinder engine cranking total output of 252 hp and peak torque of 353 nm paired to six-speed automatic transmission. 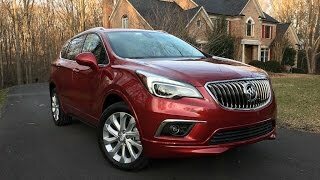 The performance figures of Buick Envision 2016 are still to come but expect a satisfactory calculation to roll this luxurious ride down the lane.